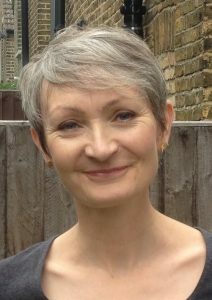 Holly is a qualified BACP accredited Counsellor who trained at the Gestalt Centre in London, completing a Diploma in Counselling. Prior to this, she gained a Certificate in Psychodynamic and Humanistic Counselling at Goldsmiths. She continues her professional development through psychotherapy training at the London Gestalt Centre and has been trained in Couples work with Relational Change. Holly has worked at a Creative Therapies Project in South East London where she saw a wide range of clients referred by GP practices and other agencies. She has had brief experience of delivering short term counselling in the NHS and Has worked as a counsellor at City Lit, London’s largest adult education institution. In private practice she offers a safe and non-judgemental space in which clients can explore the issues that are causing them concern. Holly builds a warm and supportive relationship and offers her clients sensitive observations that help to increase awareness of patterns of thought and behaviour that might feel limiting or unhelpful. She has worked with those who feel anxious or depressed, those who have suffered bereavements or other losses, relationship difficulties at work and at home, those coping with change and transition such as retirement, divorce, and illness and many other emotional issues. Holly has had a long working life in education during which she developed an interest in how early family relationships and attachments to our carers may impact on how we build and maintain relationships throughout our lives. It was through working with children in foster care that she became drawn to her therapeutic training. Holly enjoys yoga and feels that yoga supports the body awareness that is a guiding principle of Gestalt practice.